Driven by passion, ASTELCO products are designed to meet the highest quality standards and guarantee reliable lifetime performance. One of ASTELCO's primary fields is the design and construction of state-of-the-art robotic Alt-Az telescopes. High-dynamic torque motors, combined with either hydrostatic or high precision roller bearings and the most accurate encoder systems are used to design and manufacture telescopes with unsurpassed pointing and tracking accuracy. 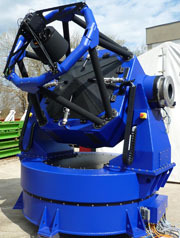 Slewing speeds of up to ~40°/sec vastly extend the range of astronomical applications. 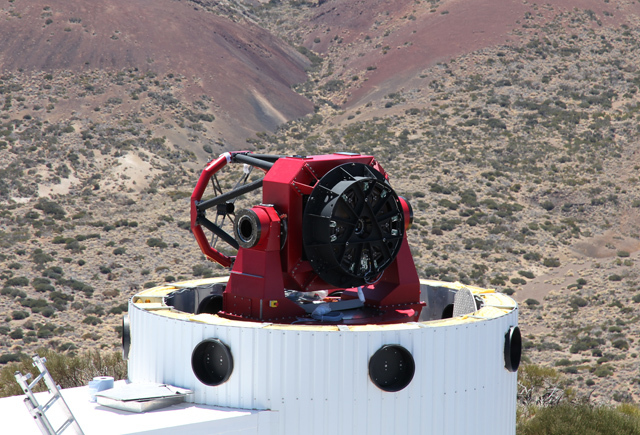 With ASTELCO telescopes it is possible to observe objects in rapidly changing sequence; within a few seconds from a stand-by position every object in the sky can be reached, for example following a GRB alert or for satellite tracking applications. These high slewing speeds and accelerations optimize valuable observing time, especially for robotic/remote operation. For further details, on-demand systems or requests, please contact us.